THE cause of a bushfire on Indian Ocean Dr, Yanchep on April 10 is still unknown. 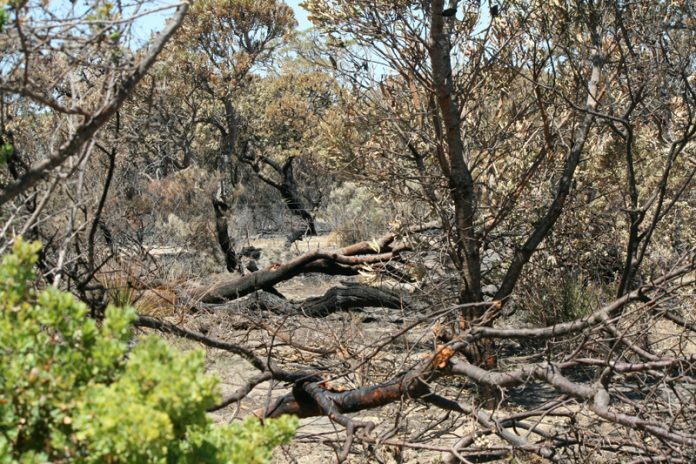 The Parks and Wildlife Service at the Department of Biodiversity, Conservation and Attractions (DBCA) managed the bushfire, which started in Yanchep National Park. DBCA said the bushfire was reported at 2.14pm on Wednesday, April 10. Aerial support was sent to help Parks and Wildlife Service firefighters put out the bushfire, which burnt 1ha of bushland. The all-clear was given on Thursday, April 11 at 9.41am with firefighters to monitor the area for the rest of the day. On Sunday, a WA Police spokeswoman said the bushfire appeared to be a DBCA or Department of Fire and Emergency Services matter. “My records show police attended at the request of DFES to assist with traffic management,’’ she said.